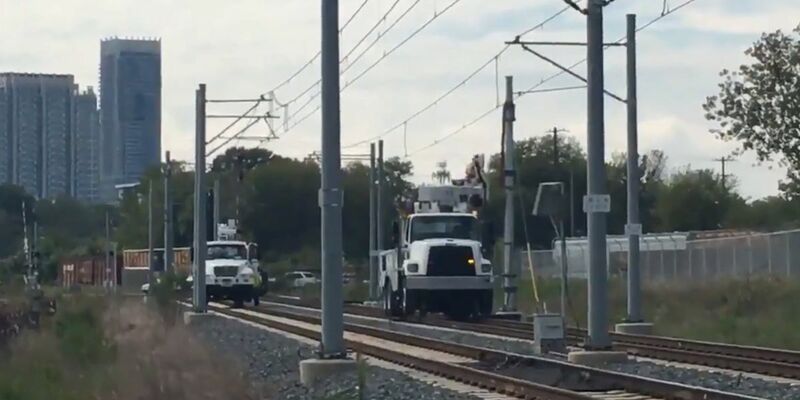 CHARLOTTE, NC (WBTV) - The LYNX Blue Line is currently being tested to assess whether operations will resume for sections of the rail that were damaged by the storm. A bus bridge via a LYNX Connector Service has been used to provide transportation for those sections in the meantime. Hurricane Michael had damaged the overhead catenary system (OCS) which prevented it from powering the vehicles on the rail in these sections. Motorists, pedestrians and cyclists are all asked to use caution when cross the tracks as a result.